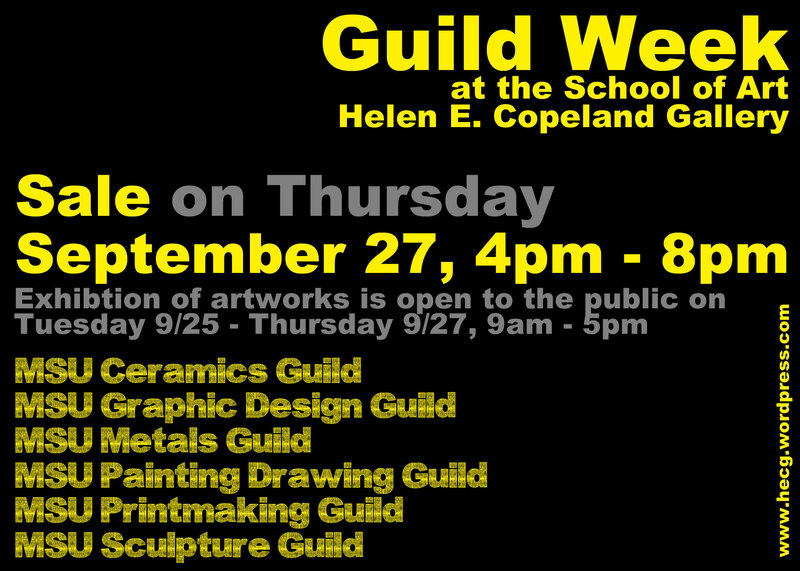 The School of Art student guilds will be hosting a sale of original artworks on Thursday September 27, 4pm – 7pm, at the Helen E. Copeland Gallery – located on the second floor of Haynes Hall. 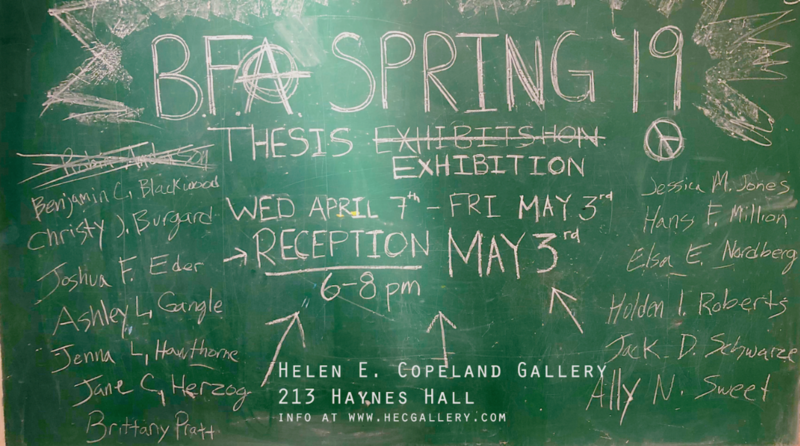 The participating guilds (Ceramics, Graphic Design, Metals, Painting & Drawing, Printmaking and Sculpture) currently have their artwork on display in the Copeland Gallery. The Gallery is open to the public on Tuesday 9/25 – Thursday 9/27, 9am – 5pm. Get some holiday shopping done early this year and stop by the Copeland Gallery on Thursday night (9/27) for the sale!